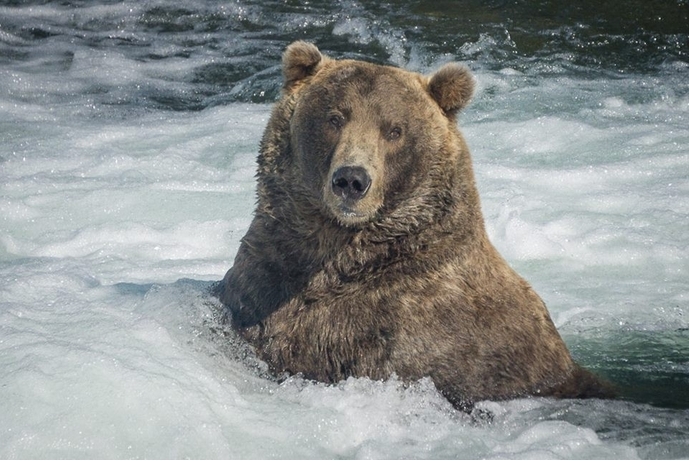 An Alaskan bear has reached a new level of fame! 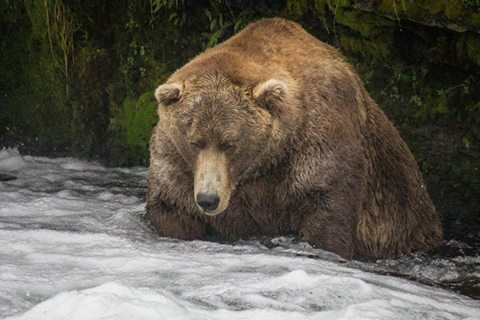 The Katmai National Park & Preserve in Alaska recently ran a Facebook contest where visitors to the park could vote for #FatBearTuesday. According to the park’s Facebook page, “Needing to eat a year’s worth of food in less than 6 months is a difficult obstacle to overcome. It’s survival of the fattest in the bear world.” And this proved to be the inspiration for the contest! The visitors voted and Otis the bear won the contest for the second time! “With patience and learned experience, Otis saves his energy by remaining in one place all day, converting salmon into the maximum amount of lard around his belly. 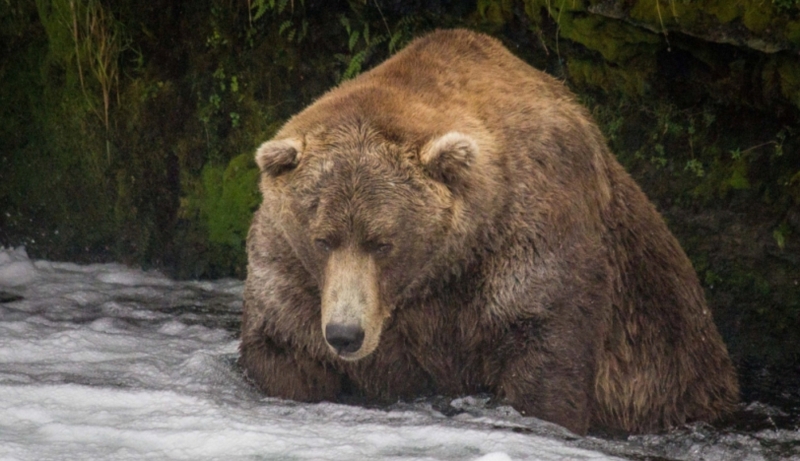 It’s earned him his second title for fattest bear, but also earned him a great chance at surviving the long, harsh winter ahead. Otis may not be the most dominant or lively bear around, but he is the fattest. Cheers to you, Otis, ” says the caption for Otis’ Facebook photos. The park does not have a scale big enough to weigh 20-year-old Otis, but it is estimated that he weighs around 1,000 pounds! “He’s a zen master, Otis, he sits there and waits for the fish to come to him and he doesn’t expend any energy unnecessarily,” Kopshever said. The rangers witnessed Otis eating 40 fish in a day, he said. Also, Otis is old as hell, like, probably about as old as a bear can get—around 19 or 20 years old. He’s also missing two teeth. “This is really good for his survival. In the wintertime, when they’re hibernating, bears aren’t going to eat a single thing so they need to eat 12 months worth of food in six months,” said Kopshever. They say it’s better to die young and leave a beautiful corpse. But I think Otis has it right that it’s pretty chill just to sleep a lot and be fat. 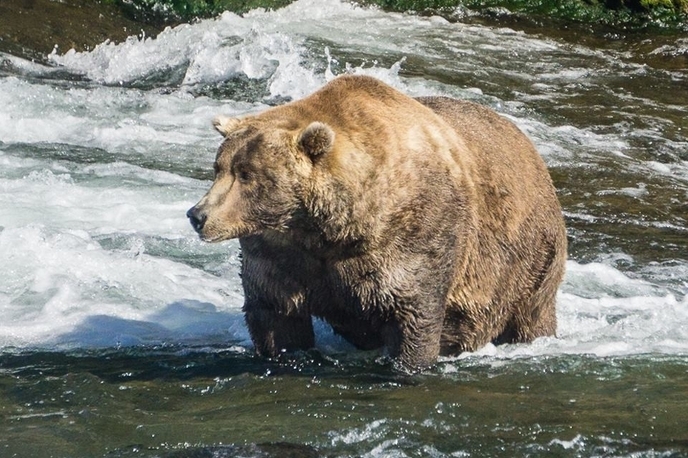 Responses to " Alaskan Bear, Otis, Named “Fattest Bear In The Wild”"